Major General William Farrar Smith is one of the Civil War’s most controversial commanders. He was twice removed from command. He was once considered for an army command. He was one of the few men to befriend Ulysses Grant and lose Grant’s full confidence. That loss started the moment Grant posted Smith to command of XVIII Corps. Smith was known throughout the army as “Baldy” to distinguish him from the eleven other generals with his surname. Smith ran a relaxed headquarters, serving champagne and fine food. He was popular with his subordinates but hypercritical of his superiors. He was a schemer who undermined his superiors. He was also given to bouts of poor health due to his previous exposure to malaria. In 1862, Smith was a rising star, noted for his bravery at the Seven Days and Antietam. At Fredericksburg, he led the VI Corps. However, in early 1863, he made several mistakes. First, he condemned his superior, Major General Ambrose Burnside, in messages sent to Abraham Lincoln. Second, he was a friend and supporter of Major General George McClellan even after McClellan’s removal. Smith also wanted to attack Richmond by using the peninsula approaches, although Lincoln vehemently opposed such a strategy. All three factors led to his dismissal from the Army of the Potomac. The Senate also failed to confirm his nomination to major general. After leading militia forces during General Robert E. Lee’s invasion of Pennsylvania, Smith was sent to the Army of the Cumberland. It was his finest hour. Working as chief engineer, he managed the “Cracker Line” which saved the army under siege in Chattanooga. He also bickered with Major General William S. Rosecrans. When Major General Ulysses S. Grant took over at Chattanooga, Grant was impressed with Smith’s abilities. He also knew that Smith was no friend of Rosecrans, a man Grant detested. 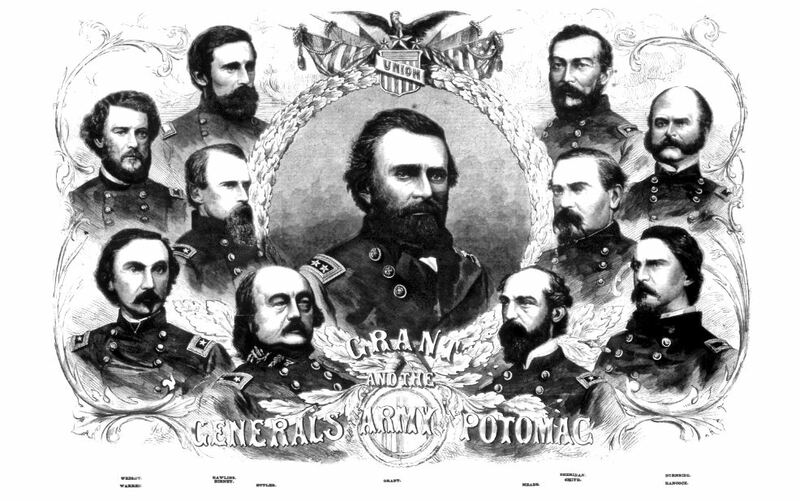 In early 1864, Grant got Smith a promotion to major general. Yet, what Grant was going to do with Smith was unclear. Smith was rumored to be the replacement for Major General George Meade, commander of the Army of the Potomac. Meade however was humble, dutiful, and pliant in his meeting with Grant. Despite pressure to relieve Meade, he stayed in command. Smith might have been made a corps commander, but he had many enemies in the army, in particular Burnside. Grant needed to find a new home for Smith. 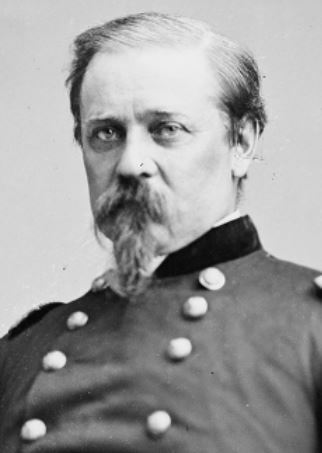 On April 1, 1864 Grant, accompanied by Smith, Brigadier General John Rawlins, and Colonel Cyrus B. Comstock, went to Norfolk to meet with Major General Benjamin Butler. In a war noted for contentious personalities, few could compete with Butler. He was an accomplished politician, lawyer, and businessman. In the American Civil War, he became famous for being among the first generals who refused to return escaped slaves and for his stormy administration of New Orleans. Lincoln and Secretary of State William Seward wanted Butler to command the drive on Vicksburg. Butler turned them down. Instead, he made speeches in the North, tacitly setting himself up as an alternative to Lincoln. In November 1863, Butler was given the Department of Virginia and North Carolina to mollify him. Grant discussed strategy with Butler, and they decided to attack Richmond, or at least threaten the Confederate capital. Smith was not present at every meeting, and soon found out he would command XVIII Corps under Butler’s newly minted Army of the James. Why Grant chose Smith for the XVIII Corps is at first not hard to fathom. Smith was a good engineer. He was widely considered one of the Union’s best tacticians, and he could be innovative. Butler had never led troops into a major battle, and Smith could offer good advice and a steady hand. Smith had also long favored an offensive similar to what Butler was attempting. Yet, there was probably a less kindly reason for Smith’s placement. In Butler’s department, Grant had no one who could monitor the situation. In addition, if Butler needed to be removed, Smith was the obvious choice. Smith’s presence though was insidious. He wanted an independent command and sent reports to Grant with Grant’s permission. This was a poor decision, since Grant was giving Smith a chance to bad-mouth Butler. It also showed that Grant did not wholly trust Butler. In addition, Smith was being assigned to an officer with a tongue so acidic that Confederate Lieutenant General Richard Taylor once wrote “in the war of epithets he [Butler] has proved his ability to hold his ground against all comers as successfully as did Count Robert of Paris with sword and lance.” (Taylor, Destruction and Reconstruction, 112) It was practically pre-ordained that Smith and Butler would bicker. Smith proved to be a liability. He did not wholly agree with Butler’s plan to take Bermuda Hundred and threaten Richmond. He favored making City Point the main base with Petersburg as the target, but he did not make his point to Butler. Throughout the Bermuda Hundred Campaign, he quarreled with Butler on tactical decisions. On the eve of the Battle of Drewry’s Bluff, Smith told his friends Major General Phillip Sheridan and Brigadier General James Wilson that Butler should be removed. It was understood that Sheridan and Wilson would say as much to Grant when they next saw him. Grant hardly seemed surprised by Smith’s machinations, and admitted to Major General Henry Halleck that the discord in the Army of the James could be Smith’s fault. Grant’s solution was to have XVIII Corps transferred to Meade’s command and then sent to attack Petersburg, but not under Butler’s supervision. The solution failed, and Smith and Meade started to bicker. Smith also failed to take Petersburg on June 15. 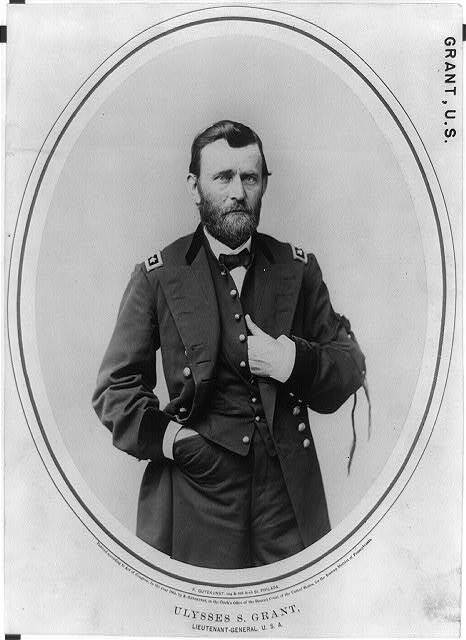 Grant at first praised Smith for his leadership in the battle, but with hindsight, he became more critical. By July 1864, Smith was removed. This entry was posted in Armies, Leadership--Federal and tagged Ambrose Burnside, Army of the James, Army of the Potomac, Benjamin Butler, Command, commanders, George McClellan, George Meade, Sean Michael Chick, Ulysses S. Grant, Union armies, William "Baldy" Smith. Bookmark the permalink. Smith’s removal from command was hastened by a letter to his Senator that Grant was hitting the bottle again. Grant found out and Smith never had a command after that. The process of Smith’s removal would be a post all in itself, complete with back-biting, backroom machinations, and betrayal. Smith’s appearance with the XVIII Corps at Cold Harbor was about the worst possible personality to add to the mix at that point. The other corps commanders each had their troubles and downsides, exacerbated by six weeks of grueling, exhausting campaigning, and their nerves were all on end, and the situation between Meade and Grant was especially tense by then. Adding the troublemaking Smith to those dynamics was like gas on a fire.